This canvas is for Courtney Oleksik. 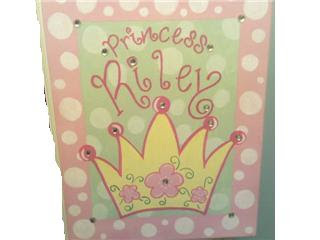 She told me that little miss Riley looooves princess stuff. So Courtney asked if I could make her a canvas with a crown on it. Here it is Courtney! Hope you like it! I can't wait to make one for the new addition!! !